The artists of Spirit Vision Henna are practicing Bridal Henna for the 2010 season. This photo shows the work of two artists working together to create a wedding henna. Each has a slightly different style, but you can see that the patterns are complimentary, and accomplished in 45 minutes for both hands. We will continue to work to improve so that we may provide intricate full bridal tattoo in a timely manner. 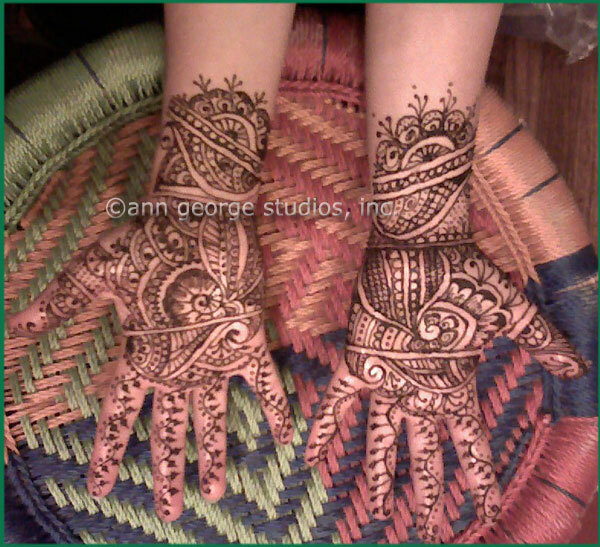 Please contact Ann George at 904•993•7466 for more information about henna tattoo for wedding parties, and other events.